Screenprint, 56cm (w) x 76cm (h), edition of 20. 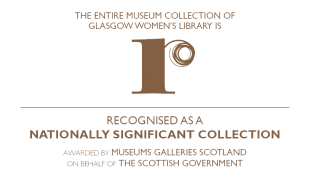 Phillips’s work for the Glasgow Women’s Library was made in response to items found in the library’s poster archive. ‘Don’t Call Me Girl!’ by the Chicago Women’s Graphics Collective (c.1975) and ‘It’s Even Worse in Europe’ by the Guerrilla Girls (1989), although not cited directly, express an attitude that Phillips brings to bear on her own work. 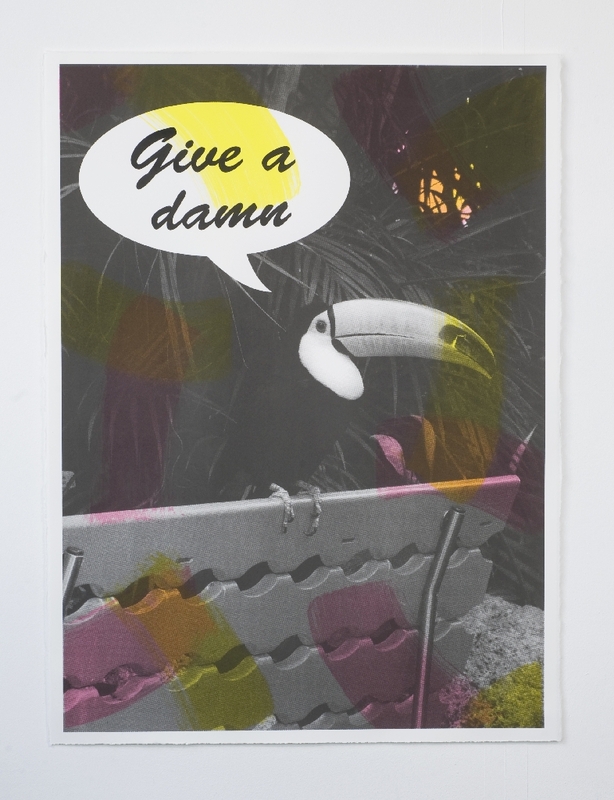 The Advice-giver, a toucan that Phillips photographed earlier this year in a city greenhouse in Zürich, suggests that we ‘Give a damn’ and refers to poster works by one of Phillips’ admired artists and educators, Corita Kent (1918-86). Born in Ottawa, Canada, and currently based in Glasgow, Ciara Phillips studied Fine Art at Queen’s University, Kingston (BFA 2000) and at the Glasgow School of Art (MFA 2004). Recent exhibitions include: Pull Everything Out, with Corita Kent at Spike Island, Bristol, Start with a practical idea, Gregor Staiger, Zürich, Petrosphere at Glasgow International Festival of Visual Art 2012, The only rule is work, Kendall Koppe, Glasgow (2011), Springtime will never be the same, Deuxieme Bureau/Galerie Parisa Kind, Frankfurt (2011) and Zwischenraum : Space Between, Der Kunstverein, Hamburg (2010). ‪Earlier this year Phillips co-curated a project entitled Who Decides? at Stadtgalerie Mannheim with artists Skafte Kuhn and Michael Stumpf. 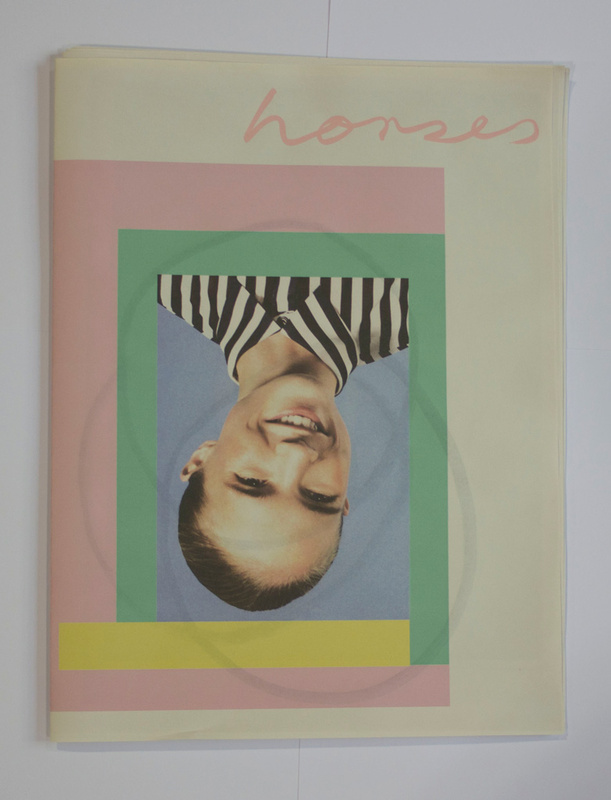 She is the initiator of Poster Club, a group of seven artists who work collaboratively and have exhibited together at Glasgow Print Studio (2011) and Eastside Projects, Birmingham (2011). This print is available for £450. You can arrange to pick the print up at GWL, or have it sent by post (£20 UK/£40 International). Please select the option you prefer from the drop-down menu above. You can also buy the print directly at GWL. The print is also available framed for £555. We are not able to send framed prints by post – we will contact you when the framed print is available to pick up. 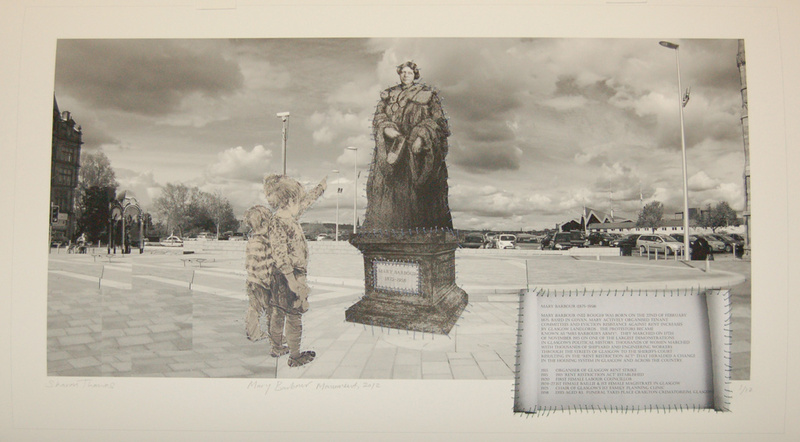 I love this print by Turner Prize 2014 nominee, Ciara Phillips. It’s fun and inspired by women’s poster making collectives – it’s really interesting to read about how Ciara got the idea for this print. My friend bought one and it looks so great in her house.